Shop online for 35 alexander model trains at discounts up to 16%. Buildings is the most popular of the 5 alexander model trains categories, then Trackside Accessories, and Parts. 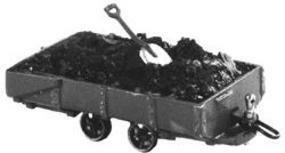 This is the HO Scale Mine Cars - Kanawha from Alexander Scale. This is the HO Scale Bridgeport Vertical Milling Machine from Alexander Scale. 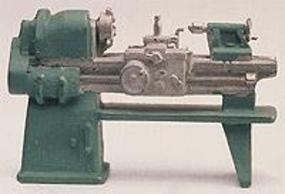 This is the HO Scale Lathe/Tool Maker from Alexander Scale. This is the HO Scale Link & Pin Couplers - Metal, 1 Pair from Alexander Scale. This is the HO Scale Pedestal Tool Grinder from Alexander Scale. This is the HO Scale Trackside Details - Signal Relay Equipment House from Alexander Scale. This is the HO Scale Modern Drill Press - Floor Model from Alexander Scale. Item only contains the Miner. Cart and Track are sold separately. This is the HO Scale Coupler Pockets pkg(2) - Screw Mounting from Alexander Scale. 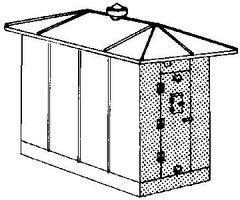 This is the HO Scale Trackside Details - Relay Enclosure from Alexander Scale. 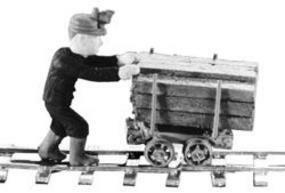 This is the HO Scale Mine Figures - Prospector Pete from Alexander Scale. This is the HO Scale Trackside Details - Ground Relay Box pkg(2) from Alexander Scale. This is the HO Scale Oil Drilling Rig - Kit from Alexander Scale. This is the HO Scale Trackside Details - Instrument Case from Alexander Scale. This is the HO Scale Coupler Pockets pkg(2) - Pin Mounting from Alexander Scale. This is the HO Scale Trackside Details - Cable Junction Box pkg(3) from Alexander Scale. This is the HO Scale Brownhoist Little Hook - Kit from Alexander Scale. This is the O Scale Lufkin Oil Pump - Kit from Alexander Scale. This is the N Scale Water Tank Spout (Unpainted Metal ating) from Alexander Scale.